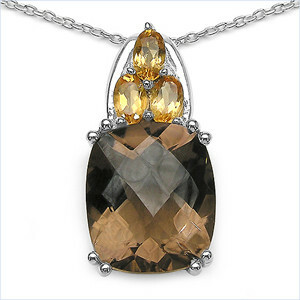 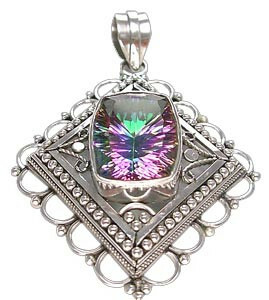 Double mystic topaz pendant in silver with nice large faceted peridot stone in the center. 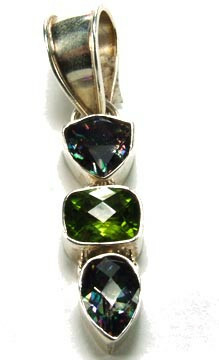 2 inches long. 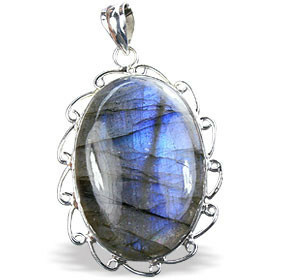 This stone is very new, be the first in your circle to wear one!